Many of us experience transition points where we simply do not know what to do. Perhaps we are in a job we do not like and hoping to change, in between things or simply soul searching. As unsettling as the uncertainty may be, I commend you (yes, commend) if you are experiencing this right now. I’m currently completing my Masters in Business Administration and came into the programme with an intention to learn how I could shift big businesses to be more sustainable and purpose driven, as I felt I could have the greatest impact here. You’ll find this idea flowing through my application, it’s what I often say when people ask why I am doing the MBA, and is a notion that I have held onto quite tightly and eagerly. Each of us probably have our own story that we tell ourselves and tell others. Guided by this intention, I began my studies with a list of questions to shape my exploration. Questions about business models, change management, ownership, leadership, regulation, behaviour change and much more. I began systematically exploring these through a range of activities. I got myself involved with the Responsible Business Forum to learn more mutuality as a way of doing fairer business. I engaged in an extra-curricular programme called Map the System, through which I mapped the levers to move consumer good companies to act more sustainably. I had numerous conversations with professors and classmates, attended talks and conferences, and aligned all my classes to this theme. Oxford truly is the ultimate playground to explore whatever it is that interests you. My fantastic Circular Economy Class whom I spent many hours diving into how we create an economy where there is no such thing as ‘waste’ and our growth is not dependent on finite resources. 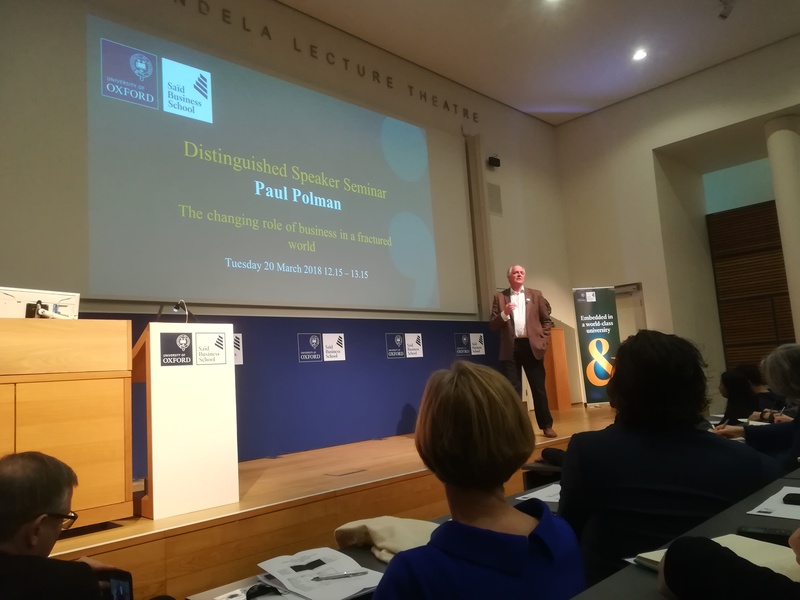 Possibly the most inspiring talk I have attended here – hearing Paul Polman, Unilever’s CEO speak about the importance of business to tackle global issues. 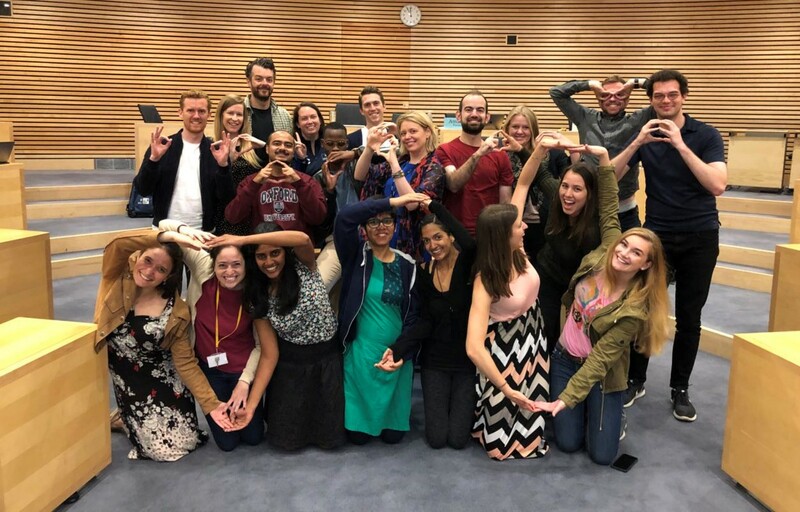 After two terms of spending more time thinking about this topic than most of my classes, my exploration culminated in attending the Skoll World Forum on Social Entrepreneurship. I was excited to meet with many business leaders and organisations working in this very space – consultants, intrapreneurs and executives, among others. As I had each meeting, it quickly became very apparent to me that the theory I was learning was far off the practice. The day to day realities in many cases about the work i was interested in revolved heavily around managing politics, and convincing people to do things that they weren’t excited nor incentivised to do. I was reminded how risk averse companies can be, how they won’t change unless there is a crisis or it really convenient to do so. 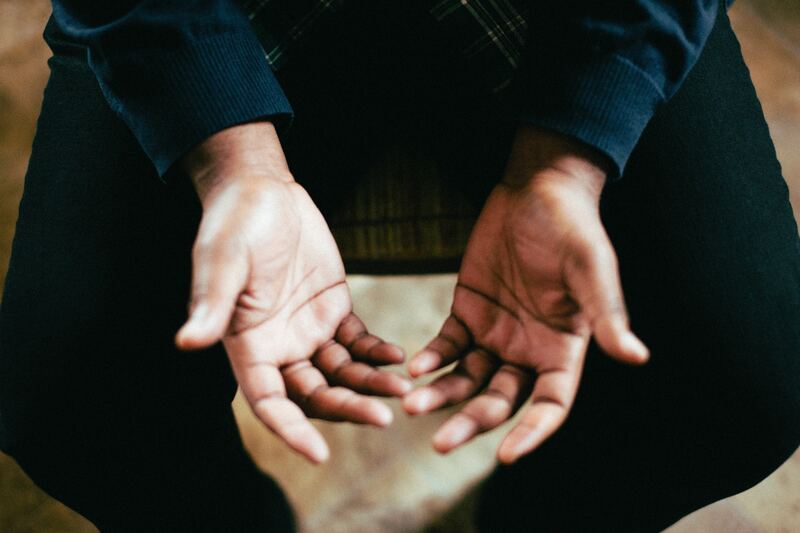 I felt drained coming out of many of these conversations and it became very apparent that this work, at least in the way I thought about it, may not be the right fit for me. That was scary. Unsettling. Disconcerting. I had held onto this idea so tightly for two terms and it was uncomfortable letting go of it. One of the most frequently asked questions we get as MBA students is “what do you want to do next?” It’s much harder to say I don’t know, than give an idea – even if it’s not what you really want. But we must drop the rocks to receive the diamonds. It’s pretty tough because for those moments, whether they last days or months, we’ve let go of our ideas, and are sitting in uncomfortable uncertainty. But I have realised that it’s only in this uncertainty, that we are open enough to explore that, which may be what we really want, the diamonds. It was once I dropped the idea of shifting big business from the inside that I was able to see other interests and opportunities that were right in front of me. I already knew I loved to build things, I knew I loved to see people grow and step into their potential, I knew I cared deeply for the health of our environment and our communities. There are many great organisations back home in New Zealand interested in these themes and I can see opportunity to bring these players together and build something new. I don’t think I have received the diamonds, but I think I might be able to see glimmers. So if you’re in that nervous space of not knowing, I commend you. You have dropped the rocks. We put so much pressure on ourselves to be employed and find work, but in the grand scheme of things, being unemployed for a few more months is really nothing given we’ll likely be working for the next 30+ years. Let’s resist the urge to pick up more rocks, and rather sit in the uncertainty. Let’s appreciate the beauty of this moment, and whilst being conscious of the immense privilege we have, be intentional about what we do next. So true and just loved the way how you have explained it – so simple yet we make it so complicated to drop those rocks! You just put my current situation into words so eloquently and I have been struggling to wrap my mind around it this summer. What next afternoon after the masters? The I don’t know had made me feel empty and not inspired or motivated. Which has been so strange for me because I always have a plan and now….not so much. But the ending… that was worth it, thank you for encouraging me to wait and not just pick something because it’s what is either expected of me or what I convinced myself I should do.